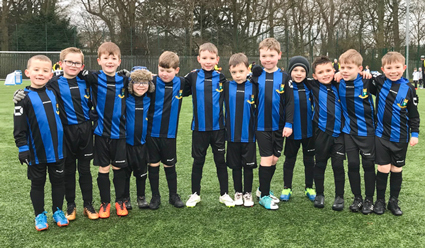 Our new 2012s (U7s) played in their first organised football event (ESSDA Football 4s) against other teams on Sunday 11 March 2019. Resplendent in their smart new kit, the boys were clearly excited to get their big adventure underway! 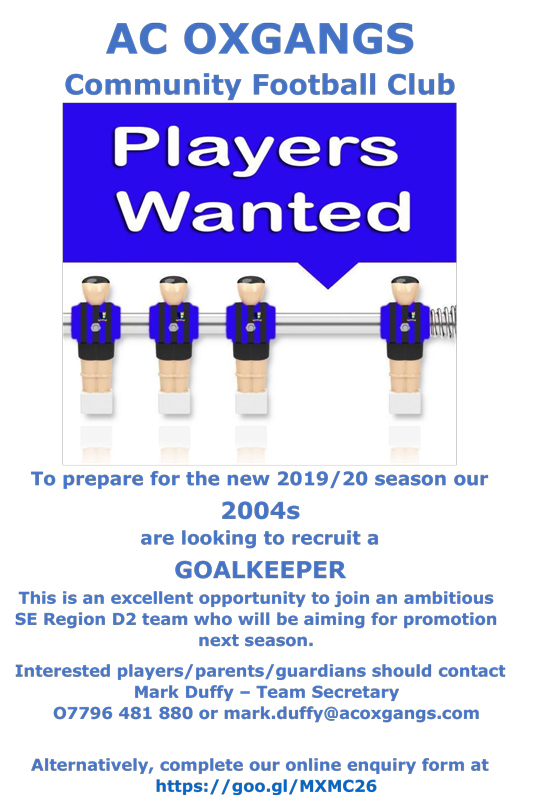 Our 2004s are looking for an experienced goalkeeper to join their squad who play in the South East Region YFA Division 2. League fixtures are played on Sunday afternoons. Training takes place on Mondays and Wednesdays (6pm to 7.45pm) at Colinton Mains Park/Firhill High School Astro. 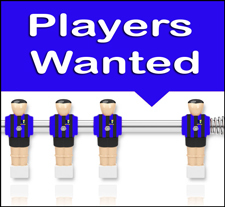 Our 2005s are looking for players to join their squad who will be playing in the South East Region YFA Under 14s Division 3 for the 2018/19 season. 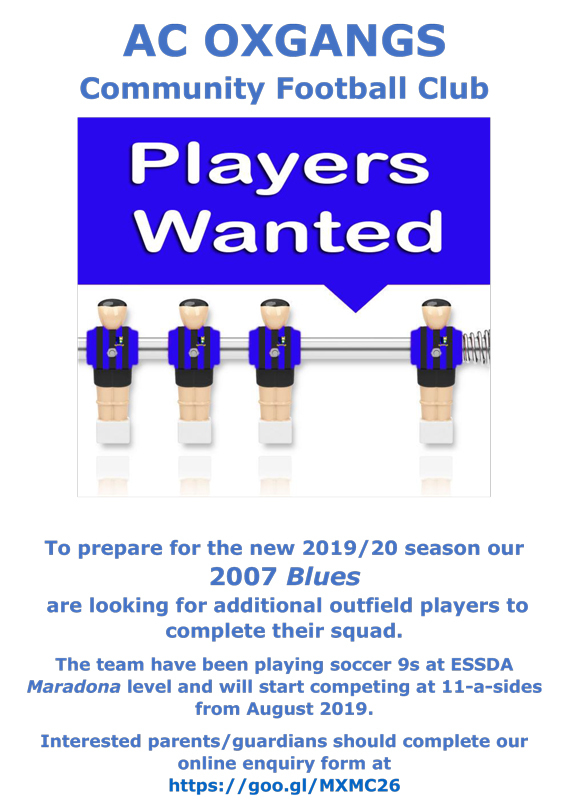 Last season the team secured a very respectable 3rd place finish and the players and coaches are ambitious to gain promotion at the end of the 2018/19 season. Our 2007s Reds worked extremely hard to ensure they had a very successful bag packing fundraiser at the weekend - thanks to all the customers and staff at Tesco Colinton Mains for their support! Coaches Andy and Stephen have ordered new training footballs and ACO t-shirts. 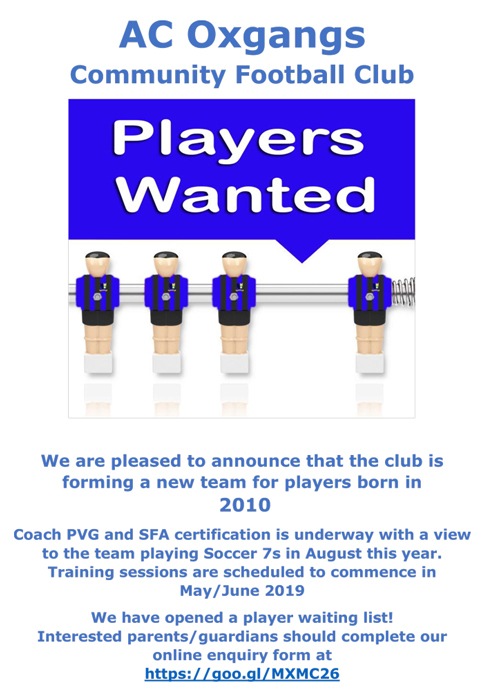 After fine-tuning their skills for a couple of seasons playing 'Super 5s' the boys are now gearing up for their first full season playing 'Soccer 7s'. latest training and matchday kit! AC Milan in the not too distant future! 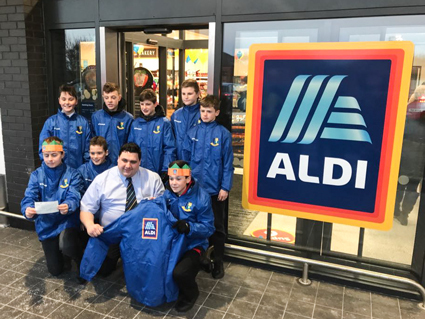 Our 2004s had the honour of participating in the opening ceremony of the new Aldi Oxgangs store. Aldi also kindly provided sponsorship for the team. The boys were welcomed by Aldi's Area Sales Manager Stephen Donaldson and Store Manager Robert Lawson and they took pride of place alongside local councillor Scott Arthur and Team GB curler Vickie Adams. Special mention to 2004s parent and former ACO coach Rod Smith who liaised with Aldi’s representative Luci Cockayne to make it a memorable day for all concerned! Click on the above photo to see the full gallery - and choose the 'News/Photos' tab. 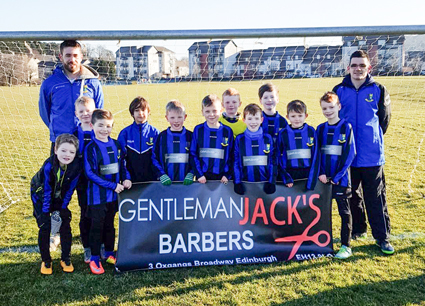 Our 2007 Blues are pleased to announce a generous sponsorship contribution from the directors of Howdengrange Financial Services Ltd - money is tight in youth football these days and Howdengrange have once again contributed to the Club having sponsored our 2004s. A set of new strips and some much needed training equipment is no doubt on their shopping list. In common with many pitches up and down the country Colinton Mains Park is often plagued by dog fouling. We are determined to stamp this out and our Committee often contact the Councils' Environmental Wardens with a view to increasing patrols to catch the owners who are responsible for this anti-social, offensive and potentially harmful conduct ... but we need your help! The Council has advised that their Environmental Wardens operate a complaints based Tracking System. This means that the more complaints they receive on a regular basis about a specific problem, the more attention it's given. If few complaints are made then there's the possibility the issue will drop off their radar. Can we therefore ask all users of the pitches at Colinton Mains, be it a parent, player, coach or spectator, to contact the Council on every occasion they come across dog fouling on the pitches and surrounding areas. It would also help if you mention that your concern relates to footballing activities. With the help of the Council we can all work together to catch the culprits and make our home ground a safer and more pleasant place for everyone concerned. To download click on the above (75Kb PDF)or to view in a browser click on the SYFA logo. 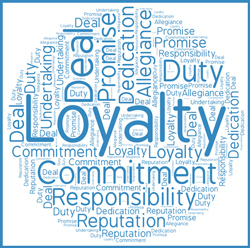 We all know that juggling your commitments these days is difficult to say the least, however we would like everyone to spend just a minute of their time looking at the words in this image. As a club we are finding it increasingly difficult to compete with ’other interests’ and as a consequence more of our games are having to be conceded due to a lack of squad numbers. This has been particularly prevalent at the start of this season and the loss of points, as well as being forced to concede cup ties, is no doubt having an impact on the morale of several of our squads and that includes players, coaches and parents alike. To give you an example of how unexpected withdrawals from a squad can impact others consider this – let’s assume 3 or 4 players decide they can’t play and we are forced to call off a game. That no doubt leaves quite a number of ACO players/parents frustrated that they have no game to enjoy. Add to the mix the opposition players, coaches and parents and all-in these 3 or 4 withdrawals have affected, in all probability, at least 50 individuals. Understandably, those who are prepared to commit themselves to the Club become disillusioned and may eventually look elsewhere for regular football. There are also the financial implications on the club to consider given that pitch hire and refereeing costs have to be met in part or full depending on the timing of the cancellation. We fully understand that there are occasions during the season when you simply cannot avoid missing either training or a game, however we ask that your other commitments take a back seat and priority is given to your team mates and coaches if there’s a clash of interests. Remember the facts – a call off can impact up to 50 individuals, the clubs’ reputation can be damaged, there are cost implications and points/ties lost and most importantly of all your team mates are being denied the opportunity to enjoy a sport they clearly love to be part of. Let’s change things – let’s put AC Oxgangs first! The SFA has published a useful guide to pre and post match nutrition aimed at players of all age-groups. Download the PDF version (475kB) by clicking on the thumbnail. We now have some useful information and user instructions for the defibrillator! Click on the above image to visit our help page. The Official AC Oxgangs FC Free App is Now Available! news, events, fixtures, results, league tables, photos and much more. Download it HERE (http://teamapp.com/app) - it's 100% free.